POLL: Do you agree with the decision to bomb Syria bases? "The U.S. and world community stood by as Syrian dictator Bashar al-Assad brutally tortured and murdered more than 500,000 of his own people, and I applaud President Trump for taking decisive action following the latest chemical weapons attack. "It is critical that Assad knows he will no longer enjoy impunity for his horrific crimes against his own citizens, and this proportional step was appropriate. As we move forward, it will be important for the administration to engage with Congress and clearly communicate its full strategy to the American people." PALM BEACH, Fla. (AP) — The United States blasted a Syrian air base with a barrage of cruise missiles Thursday night in fiery retaliation for this week's gruesome chemical weapons attack against civilians. President Donald Trump cast the U.S. assault as vital to deter future use of poison gas and called on other nations to join in seeking "to end the slaughter and bloodshed in Syria." It was the first direct American assault on the Syrian government and Trump's most dramatic military order since becoming president just over two months ago. 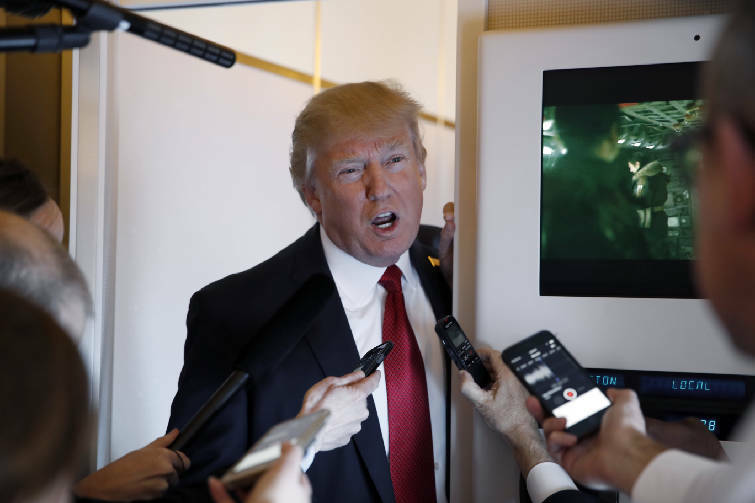 Announcing the assault from his Florida resort, Trump said there was no doubt Syrian President Bashar Assad was responsible for the chemical attack, which he said employed banned gases and killed dozens. "Assad choked out the lives of innocent men, women and children," Trump declared. "The limited missile strike launched Thursday night against the air base in Syria was an appropriate immediate response to President Assad's use of chemical weapons against the Syrian people, including Syrian children. Under our Constitution, the president should seek authorization from Congress for any further military action in Syria so that we can evaluate the long-term consequences of his plans and determine whether additional engagement would be in the vital national security interest of the United States." The U.S. strikes hit the government-controlled Shayrat air base in central Syria, where U.S. officials say the Syrian military planes that dropped the chemicals had taken off. The U.S. missiles hit at 8:45 p.m. in Washington, 3:45 a.m. Friday morning in Syria. The missiles targeted the base's airstrips, hangars, control tower and ammunition areas, officials said. The surprise U.S. assault marked a striking reversal for Trump, who warned as a candidate against the U.S. getting pulled into the Syrian civil war, now in its seventh year. But the president earlier in the week appeared moved by the photos of children killed in the chemical attack, calling it a "disgrace to humanity" that crossed "a lot of lines." The strike came as Trump was hosting Xi in meetings focused in part on another pressing U.S. security dilemma: North Korea's nuclear program. Trump's actions in Syria could signal to China that the new president isn't afraid of unilateral military steps. even if key nations like China are standing in the way. U.S. military officials sought to portray the strikes as an appropriate, measured response. But the assault still risks plunging America into the middle of Syria's conflict, complicating the safety of the hundreds of U.S. forces fighting a separate campaign against the Islamic State group in the north of the country. If Assad's military persists in further gas attacks, the Trump administration might logically pursue increased retaliation. Trump's decision to attack Syria came three-and-a-half years after President Barack Obama threatened Assad with military action after an earlier chemical weapons attack killed hundreds outside of Damascus. Obama had declared the use of such weapons a "red line." At the time, several American ships in the Mediterranean were poised to launch missiles, only for Obama to abruptly pull back after key U.S. ally Britain and the U.S. Congress balked at his plan. He opted instead for a Russian-backed plan that was supposed to remove and eliminate Syria's chemical weapons stockpiles. 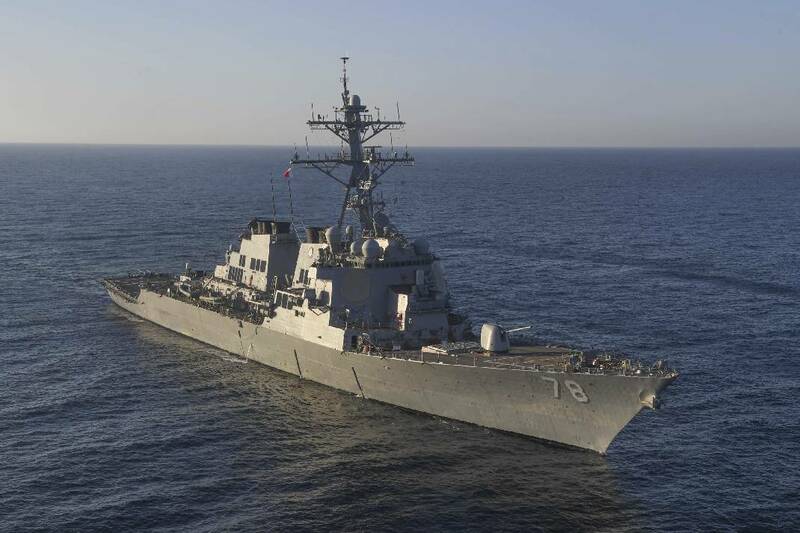 Thursday night's strikes were launched from the USS Ross and USS Porter and landed in the early morning Friday in Syria. The world learned of the chemical attack earlier in the week in footage that showed people dying in the streets and bodies of children stacked in piles. The international outcry fueled an emotional response from Trump, who appeared to abandon his much-touted "America First" vision for a stance of humanitarian intervention, akin to that of previous American leaders. "I think what happened in Syria is a disgrace to humanity," he said Thursday. The show of force in Syria raises legal questions. It's unclear what authority Trump is relying on to attack another government. When Obama intervened in Libya in 2011, he used a U.N. Security Council mandate and NATO's overall leadership of the mission to argue that he had legal authority — arguments that many Republicans opposed. Trump can't rely on either justification here. Trump and his top aides had acknowledged in recent days the "reality" of Assad being in power, saying his ouster was no longer a priority. But the chemical weapons attack seemed to spur a rethink. In Florida on Thursday, Secretary of State Rex Tillerson said of Assad: "There's no role for him to govern the Syrian people."